Top 3 EHR Compliance Risks - How to avoid Auditor Scrutiny? EHRs provide physicians with many benefits; however, there are also compliance risks inherent in the technology. Physicians must be aware of these risks and take steps to address them, said Sandy Giangreco, RHIT, CCS, CCS-P, RCC, CPC, COC, CPC-I, COBGC, coding compliance audit senior manager at CHAN Healthcare, and Kim Huey, MJ, CHC, CPC, CCS-P, PCS, CPCO, independent coding and reimbursement consultant. Giangreco and Huey both spoke during the 88th annual American Health Information Management Association’s (AHIMA) convention held October 16-19, 2016 in Baltimore, MD. 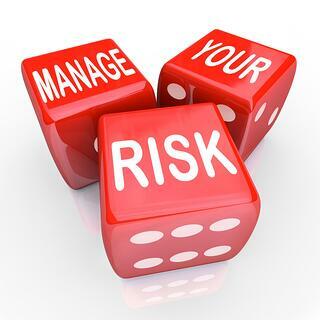 This article addresses several compliance vulnerabilities that Giangreco and Huey discussed and provides tips on how to mitigate risk. In a 2012 article, the Center for Public Integrity warned that coding levels may be accelerating due—in part—to an increased use of EHRs. “As physicians go live with an EMR, we have seen that their coding levels go up. It’s easy to create that detailed patient file with just a few clicks,” said Giangreco. In an age of EHRs, the long-standing medical coding mantra, ‘If it’s not documented, it didn’t happen,’ has now become, ‘It’s documented, but did the physician really do it?’ she added. Ask your EHR vendor for training on how to correctly select a diagnosis and/or evaluation and management (E/M). Don’t default to the first code in the drop-down menu. Huey shared a story about a physician who unknowingly selected ‘intractable migraine’ for every patient. Attention to detail is critical, she added. Beware of automatically pulling historical conditions into the current assessment/problem list. Coders may assume through no fault of their own that the physician is managing those conditions and should thus be compensated those services. What ends up happening is that the physician is ultimately reimbursed for treating previous conditions that he or she technically didn’t address during the current encounter, she added. On what set of E/M guidelines are the codes based? “The physician can use whatever set of guidelines is most advantageous, so we want to be able to have it set up for both,” said Giangreco. In some cases, documentation may justify a higher E/M code under one set of guidelines vs. another, she added. Has the coding software been programmed to account for medical policies specific to your local Medicare contractor? “Some of our Medicare Contractors have given us some great detail with E/M … It’s in writing, and you can defend an audit with that,” she said. How does the coding software manage dictated portions of the encounter? Templates can save physicians considerable time, but only when they’re designed correctly and compliantly. If a physician creates his or her own template, ensure that someone—ideally a certified medical coder—reviews it, said Giangreco. Personalize templates for each complaint and/or diagnosis. Ensure that you can easily identify who contributes to each portion of the template. Auditors continue to focus on these documentation patterns, looking for evidence of false claims, said Huey. She shared a story in which an internal medicine physician subject to a ZPIC audit ended up having to repay a significant amount of money because of cloned documentation related to pain management services. The auditor made the discovery by looking at multiple records for the same patient over time—something Huey said is becoming more common. “They’re comparing visit to visit to see what has changed,” she added. Remember that each encounter stands alone. “We want to be certain that providers are only documenting what they did [on a particular day],” said Giangreco. Pay close attention to lab data. If you copy and refer to previous lab-related information, be sure to copy the date on which those labs occurred, she added. Label historical information. This ensures that physicians don’t inadvertently ‘double dip’ for payment, said Giangreco. Preface historical information with a sentence such as, ‘I copied this for historical and continuity of care purposes to show the patient’s trajectory,’ she added. Identifying and addressing these and other risks proactively helps physicians avoid costly and time-consuming audits and legal battles. Click here to learn more about how an EHR vendor can help physician practices ensure compliance.